Don’t forget to share your OSG cookie photos on social media this month using the tag #ohsheglows so we can all see what you’re baking. I love getting tiny glimpses into your kitchens. :) For some of my own behind-the-scenes fun, be sure to follow my Snapchat and Instagram. I’m loving Insta Stories lately because it’s so quick (let’s be real, picture-perfect photos aren’t happening in my life these days). 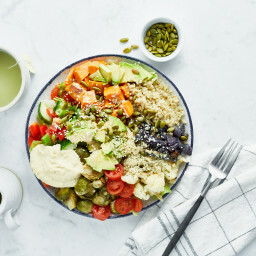 Also, check out my #osgtakeover series on Instagram, where fellow food bloggers pop in to share a day’s worth of their plant-based meals. Note: Five of the app cookies are found in the Cookie Lover’s Bundle on the app bundle page. You need to unlock/download the bundle for the recipes to appear. Welcome back, Angela! It’s good to “hear your voice” again. I am so excited about this list, although I can say I’ve made most of them. Your cookie recipes always turn out well — I’ve never had one fail. Happy holidays! Wow! This is a feast for the eyes and so timely. I would add your super seed truffles to the list (from the OSG Everyday bonus bundle). They lasted, like, less than a week at our house, and I doubled the batch! From one with GF, soy-free and DF needs, I appreciate your thoughtfulness and attention to making so many great recipes that are allergen-friendly. Merry Christmas! Looking forward to cookie baking for the first time in ~5 years. Aw Kathy, that’s so awesome to hear! I’m so happy you enjoy the allergy-friendly ones. I need to make them again stat and stash some in the freezer for the holidays. ;) Merry Christmas to you as well and happy baking! You have been busy!!! I saw the cookies on IG and was hoping there would be a blog post soon! I can’t wait to try some of these. This week I made your pumpkin oat squares, banana bread muffin tops, and breakfast thumbprint cookies. You’ve made my week! Can’t wait to see it…enjoy! OK, the Jumbo Choc Chunk cookies are amazing, because I’ve made them (again and again and again). And I’ve made so many delicious recipes from your new cookbook, but I have to say… that Caramel Sauce!!!! I dream about that stuff. Thank you *so* much for sharing and I’m so glad that your app is still on sale through this month! I saw the announcement when I was traveling but the inconsistent internet made it hard to download then, so I’m glad I can still get the app now! I was going through your books and blog to come up with cookies for baking for this holiday season – plus coming up with some mains for Christmas dinner – so this post is just perfectly timely. Question for you, Angela, or other tech savvy readers: my app doesn’t seem to be updating. I don’t have any of the new cookie recipes appearing – and I have to try those peppermint crunch cookies and gingerbread people asap! Any suggestions? I had the same question! i downloaded the app a while ago and don’t have any of the new cookie recipes…help! Hi Amara, the cookie recipes come in a free bundle, so you need to go ‘bundles’ and download it :) After that, the recipes appear along with the other recipes. Hope this helps, good luck! These all look incredible! And I am soooo excited for the app coming to us android users! I just wanted to mention that I think your carrot cake breakfast cookies should be on the list. They are still one of my all time favourite OSG cookies to date! Ok I have made a lot of these! Your cookie recipes are so good. I recently got rave reviews for your pillowy pumpkin cookies with vegan caramel. So good. I am so disappointed that your new cookie recipes are only available through your app. I do not have any Apple devices, otherwise I would buy it, just like I buy each of your cookbooks. I believe Angela is working hard to get the Android version going! In the meantime, I suggest trying the Turtle Oatmeal cookies from the blog, they’re one of my faves! I can’t believe it is Adriana’s third Christmas! My little guy turns 3 next week and I feel so excited for him this year. Holidays take on a whole new level of excitement with new family members. 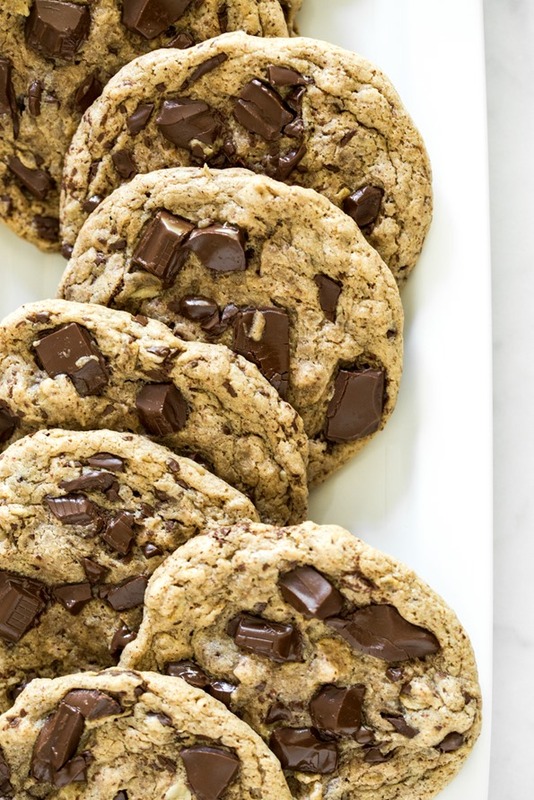 He loves chocolate chip cookies so I am sure we will be baking up a storm with these recipes as well as the new cookie bundle.. Happy Holidays to you and your family Angela. Not on the list, but I would add that the Nutcracker cookies are still my all time favorite from this site! Such an oldie (2011), but so, so good! I’m actually making some this weekend! Oh wow, these look incredible! I really want to try the ginger bread men! Hi Angela. I am having trouble opening the cookie bundle on my app. Any suggestions? Thanks. Hi! I love your recipes and have your app but the 3 cookies you listed on your list as being on the app only are not on the app! Can you explain this or help me? Thanks. I have found the cookie bundle to be very spotty. Sometimes I can access it and sometimes I can’t. Today and yesterday I can’t and I would like to get baking the cinnamon cookies. As far as bundles go I have found the other bundles to be not very friendly either. I have shared the Spring Bonus several times on Facebook to unlock it (which it does for a time), but once again on my app it has the Share to Unlock button. It’s Eric here. Can you explain what you mean by spotty. Have you unlocked the cookies bundle before? They should always be there once it has been unlocked – unless you are re-installing the app in which you have to restore the bundles on each new install (the same if you are accessing the bundles from different devices – they will need to be unlocked on both devices). Although you can do this by going to the bundles page and pressing the button “Restore Purchases” on all your devices and if you have already unlocked the bundle once before it will unlock it again. Hope that helps, if you are still having trouble please email [email protected] and I will follow up. Call it what it is…they’re CHRISTMAS cookies, not holiday cookies. Can’t find cinnamon roll oatmeal cookies on the app. Can only find toffee cinnamon bars. 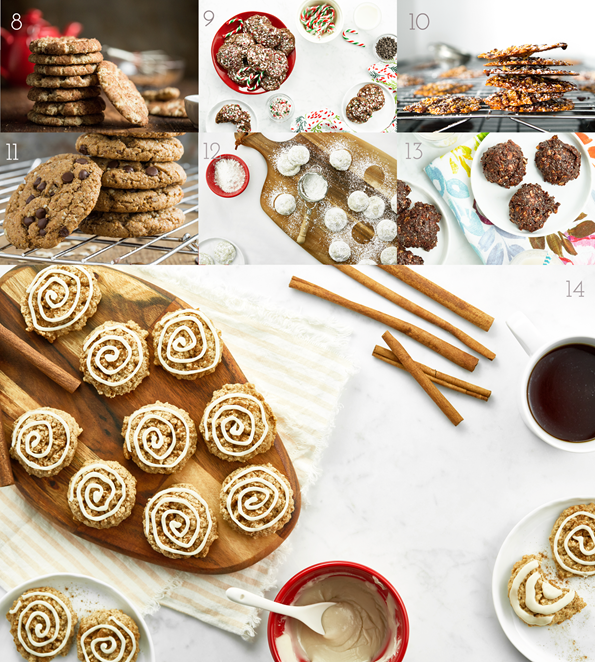 Hi Liz, The Cinnamon Roll Oatmeal Cookies are in the app as a part of the Cookie Lover’s Bundle. It’s a free bundle (yay!) that you can access and download to your device through the bundles section of the app. Congrats to you and your family on the new addition. He is a beauty. I love your blog and both books and though I’m not vegan I open them at least once a week (and my 1 year old loves the pics). I just purchased the app but I can’t find the cookie recipes you mention in this post (peppermint crunch and gingerbread men?!). They sound delicious. Any idea what I am doing wrong? Thanks so much and I hope you enjoy your first holiday season as a family of 4! Hi there! Thanks so much for your warm words. :) The Gingerbread Cut-Outs and the Peppermint Crunch cookies are in the app as part of the free Cookie Lover’s Bundle. Just head over to the “Bundles” menu to find it and download it to your device! I hope this helps, and sorry for the confusion. Happy baking! Good morning! So excited to see all the ideas for cookies – so timely! I am getting ready for a cookie bake and was looking for ideas. I somehow missed the email and blog last week and when I go into the app, it says the cookie bundle is ‘temporarily unavailable’. Did I miss the boat on this or will I have a chance to get this bundle? I hope I can get this!! :-) Thanks! Hi Angela! Yes! I am able to get the cookie bundle in the app now! Thanks so much for getting back to me on this. I am excited to try some of the recipes! Thank you so much for this post. Your timing is good. We have monthly family date nights with our adult children and their partners. Next Sunday is cookie decorating and homemade pizza at our house…. So, I wonder if you have a go to sugar cookie recipe that you could share. I have found others online but you have never steered me wrong so far and I can imagine that you might be decorating cookies with Adriana. This is my first year going completely plant based for my cookies and Christmas treats. I have never had the confidence to bake plant based but this post is just what I need to gain even more confidence. As an unrelated aside, the chili cheese nachos recipe is out of this world. We have been making it and my husband eats it with corn chips for supper! and I have been putting it atop of lightly dressed kale and then topping it with chopped jalapeno peppers, green onion and a few crushed corn chips. Best taco salad ever! So all that to say, you continue to inspire us every day to choose food that is healthy for us and the planet. And we are most grateful. If you have a great sugar cookie recipe (oh yah! And shortbread. I REALLY need a good plant based shortbread) I would be so very grateful. With abundant gratitude for all that you do for so many. I just purchased the app and can’t find the ‘Gingerbread People’ recipe. Can you please help? Thank you. Your cookies seem to be delicious! I will try your recipes for Christmas to receive the family with treats while eating clean! Thank you for all your wonderful recipes! You have brought joy back to our food! My son is in the SCD diet and cannot have maple syrup yet. Could we sub the maple syrup in some of your recipes for honey? I would love to try the lemon cheesecake from your new cookbook with honey! I’m a long time fan and have made many of these cookies with absolutely delicious results. I own both of your books and cook from them regularly. I also have your app. I was looking for the granola recipe on your app today and could not find it. It really is the best granola I have ever tasted. I always make a double batch and give half to my dad who also loves it. What happened to this recipe? I will be really sad if I can no longer access it. Hello! I just purchased your app because I really wanted your gingerbread people recipe. Imagine my surprise when the app said that recipe isn’t in the app! Please help me. Thanks! Hi! I just bought your app because I wanted to make your gingerbread people, however it isn’t in your app as you state on this page. Please help me. I’d really like to make them! Thanks. Hey Eva, Thanks so much for purchasing the app! I hope you enjoy it. 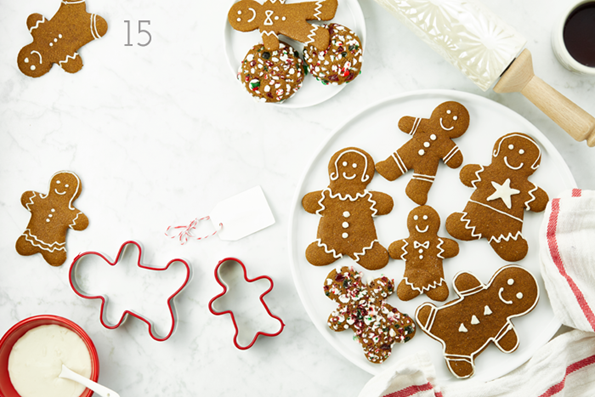 :) To get the Gingerbread Cut-Out recipe, you’ll need to download the free Cookie Lover’s Bundle to your copy of the app. You can find this in the “Bundles” tab of the main menu. Hope this helps! I can’t find the peppermint crunch cookies on the app. Anyone find them? I just wanted to say that i tried the cinnamon swirl oatmeal cookies from the app this weekend and our entire family loved them. plus now we have a new favorite frosting! MAYBE we ate the leftover frosting with spoons, in fact. can’t wait to try another new app recipe this weekend! i’m thinking peppermint crunch. I make and sell frozen pizza dough at our local farmers market and when I had a gazillion requests for gluten free products I started making a GF pizza shell and the Jumbo Chocolate Chunk cookies. I always give you credit and even give the link to your website but these cookies are definitely my best seller now. Last Friday I sold more than 100$ in just cookies! My hubby says they are the best cookie he’s ever had! Just wanted to say thank you for a great cookie recipe! I was not able to find the Ginger Cinna Maple Steamer in the app. Hi Kristy, To access the Ginger Cinna Maple Steamer recipe, you’ll need to download the free bundle to your device. To do that, simply head to the “bundles” tab in the top menu, and select the Cookie Lover’s Bundle. Hope this helps! My mouth is watering right now!! I just bought your cookbook and cannot wait to dig in! For years I’ve been focusing on developing my own recipes for my Blog, but I needed a break, so I bought your book! I love your recipes because they look delicious, and also because they are very similar to how I prepare my own recipes. Great minds think alike?! lol! I just made your thumbprint cookies the other day and the family devoured them! I would LOVE to do a review of the cookbook for my Blog! I just looked in the app for the peppermint crunch cookies and I can’t seem to find them. In fact, when I type in cookies in the search bar, there are only 4 cookie recipes on the app. Am I missing something here? Hi Lauren, To access the peppermint crunch cookie recipe, you’ll need to first download the free Cookie Lover’s Bundle to your device. Just select the “Bundles” tab in the app’s main menu in order to find and get it! Happy baking! I just downloaded the OhSheGlows app, but the Gingerbread People recipe isn’t in there. Has anyone found it? I have urgent needs for gingerbread cookies!! Wow… so many great recipes and ideas! I need to try Vanilla Macaroons for Christmas this year. I’m going to have to get the app, can’t resist Almond Blizzard biscuits recipe! Angela- you are the goddess of baking. I’ve tried many of your cookies and have never been disappointed. They are ALL amazing even for someone (me) who doesn’t consider herself a baker. One of my favorites though, are your Irresistible Chewy Trail Mix Cookies. They are a staple in my home. I bake them more than anything else. They might not be as holiday oriented as the others – but they are healthy and delicious. I often eat half the batter before they make it to the oven. Thanks for being such a genius. Happy Holidays! You forgot your Wedded Bliss Ginger Cookies! They are my #2 FAVOURITE cookie of yours besides the Jumbo Chocolate Chunk ones. Agreed! Ive been making these for years and they’re my favorite OSG recipe, hands down! Thank you for rounding up these recipes, cookies are one of my favorite foods so I’ll have to get on with making some of these asap haha! Haha, I hope you enjoy whichever ones you decide to make, Caitlin! :) Happy baking! Thank you for the cookie roundup! I made #13 for the first time and they are DELICIOUS. Ate them as breakfast cookies :) Now if only I can figure out how to fit in making them all before Christmas. Thanks for the roundup! I did a gf/vegan cookie exchange with some other “allergy” moms this year and it was amazing! I made your macaroons and the triple almond thumbprint cookies from OSG Everyday and they are both so delicious. My mom took some of the almond ones to a (“regular food”) potluck last night and everyone raved about them. Thank-you so much for making such simple and delicious recipes. I am so grateful to be able to bake tasty things for my little guy who has wheat, dairy and egg allergies and rarely gets to have options for treats! Oh, you’re so welcome, Tamara. Thank YOU for leaving me such a lovely comment. It really brightened my morning! Thank you! Going to make the raspberry thumbprint cookies for my daughter!! hi Angela. I love the cookie inventory ? i have you on snapchat and noticed how nasaly you are and oh my gosh I have been the exact same since Friday. it’s driving me nuts. its not even cold here.. weve been enjoying above 30degree days. love from AUSTRALIA ? All the recipes look divine! I’m struggling trying to decide what to make for christmas dinner, was wondering what’s on your menu for the holidays? Thanks for the cookies, I also think that these are some of the best vegan cookies. These all look really delicious. I’ve recently tried a recipe that was pretty simplistic, it only called for applesauce and oat flour plus baking soda & powder and a couple other things, but it turned out really well! Nice effort in putting up all these appetizing recipes, hope to try a few of these recipes in the near future. Hi Angela! I would love the ginger people cookie recipe. I downloaded the APP ( it said the recipe was on the APP) and it’s not there. Hi Cindy, the ginger cookie recipe is found in the Cookie Lover’s Bundle on the app bundle page. You need to unlock/download the bundle for the recipe to appear. Hope that helps! It seems that your app is not so intuitive or self explanatory. Half of these comments are your repeated instructions on accessing cookie recipes in the tab in the app. Its too complicated and not user friendly. Something to consider tweaking in your app. Sorry this is slightly off topic. But there is a safety recall on Cuisinart food processor blades. Apparently they can chip in the food and lacerated one’s mouth. It says they will send you a replacement blade for free. I am pretty sure I have the same Cuisnart as on this website and mine was included in the recall. So are MANY OTHER models, it looks like basically all of them. Looks delicious! Thanks for sharing this list of rich recipes. I would definitely add it in my Valentines Day celebrations. These look brill. Going to have to make some ASAP! 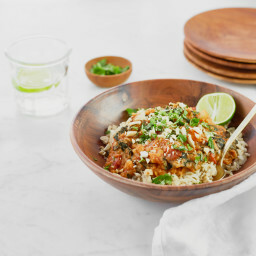 I downloaded a few recipes from your website using the “Ctrl + S” feature in Firefox; it saves copies of the pages and pictures. Doing this infected my computer with a trojan virus called “JS/HideLink.A”. It was connected to the following recipe pages: high protein & high fibre cereal, lightened up summer granola, banana bread protein bars, and peanut butter chocolate crunch blizzard. Sorry to post this publicly, but I don’t know your e-mail address. Saw this on your Instagram last month (has it really been that long) and was totally drooling…tis the season, or was! Still stuck in the holiday moods, going to have to get my daughter out of bed to make these with her momma! Happy New Years!! Just got your second book as a birthday presant and I’m working through the recipes with my 14 year old semi-vegetarian. We are loving it! Oh, I’m so happy to hear that, Paula! Happy cooking to you both. This recipes are on my list! They all seem delicious and easy to make! I was just given your Oh She Glows Every Day cookbook and love it! When I looked at the nutritional information on your website for Cookie Dough Balls V, it says the serving size is 15, but it doesn’t seem right that the full recipe (15 balls) is only 192 calories. Could you clarify what the serving size is? Thank you! Hi Stacey, I’m so happy to hear you’ve been enjoying the new cookbook! Thanks for your question about the cookie dough balls. The nutritional information is per ball, based on the assumption you’ve made 15 balls from the recipe. (So it’s 192 cals per ball based on a recipe yield of 15 balls). Does that make sense? Tried the first one on the list today and my kids loved it, i wonder why cookies and other baking goods taste much better every time i use coconut oil, the rest of these recipes are on my list for next weekend, Thanks! You always have the best recipes. My cookbook is literally covered in little bits of stuff as I use it so much (maybe time for a new one lol!) I love the one bowl chocolate chip cookies! Hi Josie, You can sign up for the newsletter here. 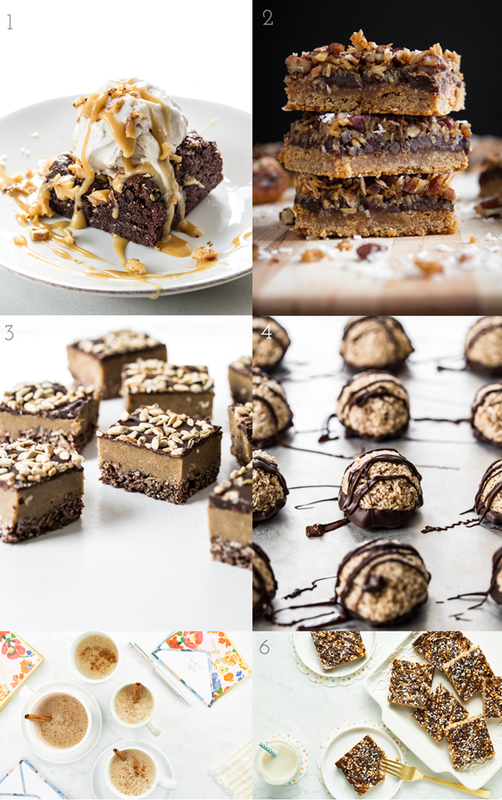 I´ve just taken up baking and I´m a bit of health freak so vegan recipes like these which are healthy and easy to follow are absolutely awesome. Thank you so much, if you are ever in Tulum, Mexico let me know I have a small vegan restaurant by the beach and I´ll sort you out a free meal. Do you have a recommendation for a vegan cookie recipe without any oils (coconut oil, etc)? Or a recommended substitute for the oil? Hmm, good question! From the blog, you could try my Happy Trails Adventure Cookies or Flourless Thumbprint Breakfast Cookies. As well, in the Oh She Glows Every Day cookbook (if you have it), I include the following oil-free cookie recipes: Triple Almond Thumbprint Cookies, Chocolate-Almond Espresso Cookies, and Flourless Peanut Butter Cookies. I hope this helps! Thanks for this list — these simple and delicious recipes! I love eating cookie dough and appreciate you sharing the source. :-) Thanks for your work with developing and publishing vegan + gluten-free recipes. 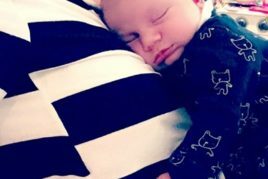 Thank you so much for putting a list like this together Angela! You have no idea how helpful this will be the next time some friends & family are round! You had me at cookie. What wonderful looking deliciousness. 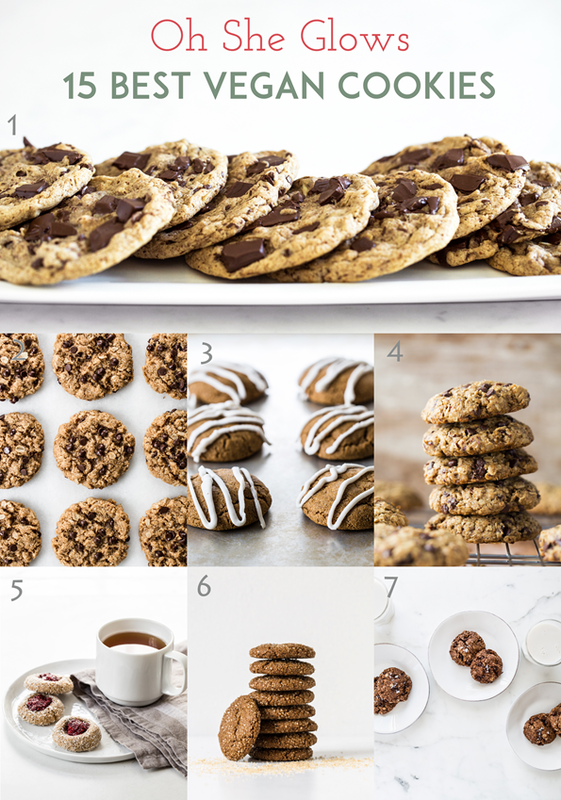 These all look amazing but I can see the one bowl choc chunk cookies becoming favorites in our family. I really do intend to try and make lots of these recipes. Even though you posted this last year it’s coming around to that holiday time of the year again!! Thanks for posting this because I would not have found my new favorite cookie otherwise. I bought the Every Day cookbook on kindle because I wanted to try the Flourless Peanut Butter cookies. OMG, one bite and I was in cookie heaven! While there are a lot of recipes in the book I would love to try, this one recipe alone is worth it. :) I’ll get to trying out the rest as soon as I can get past the flourless peanut butter cookie deliciousness. Thank you!!! Hey Mich, Wow, I’m so flattered you love them so much!! =) I originally made them for my first cookbook and there wasn’t enough room to add the recipe and photo in. Boy, was my sister NOT happy they didn’t make the first book. So I knew they had to make the second one…lol. Thanks so much for your support and happy new year! do you have a recipe for short bread cookies? Umm, Happy Trails Adventure Cookies have been our family’s jam for years! Hey Rachel, Oh did I forget those?! Whoops! I haven’t made them in ages…I really need to though. :) So happy you all love them!